Leslie Carole Johnson, founder of the Mississippi Rag, died January 17, 2009 following a three-and-a-half year battle with a rare form of cancer. Johnson started the Mississippi Rag in November, 1973; she was a housewife with a journalism degree and a growing interest in jazz and decided to start a jazz magazine once her kids were enrolled in school. She lived in Minneapolis and it seemed odd to me that a magazine featuring traditional jazz and ragtime would come from Minnesota. I was fortunate enough to become involved with the Rag from Volume 1 Number 1- when she was looking for contributors she lined up Butch Thompson, then asked him if he knew anyone else and he suggested me. I ‘d never written anything about jazz (I’m a CPA by training) but agreed to give it a try. I wrote an amateurish piece about Father Al Lewis but it was a start. No sooner did the Rag hit the market but there was competition- a slick New Orleans-based magazine, Mecca, started the same month- it was a lot prettier than the Rag, which was a tabloid printed on newsprint for most of its existence. The Rag took off from the beginning, and fortunately, the Ragtime Revival of the 1970s coincided with the Rag’s appearance, and it was the only magazine on the market that covered ragtime. The Rag took off immediately while Mecca died after three issues. Leslie was very savvy at marketing the Rag- she sent boxes of free issues to most of the jazz clubs to distribute at their meetings or concerts, and the subscriptions poured in. The magazine was a lot of work to put together, especially in the days before personal computers. Leslie did most of the work herself, with able assistance from her then-husband Dennis Johnson and her two sisters, Jody and Debbie. The magazine was fairly slim in its early days- about sixteen pages- but as time went on the number of festivals, jazz cruises and other events advertising in the Rag, and as individually-produced LPs and CDs became more prevalent, there were a number of ads for them in each issue. 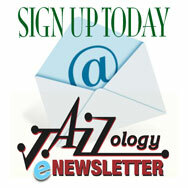 Two things really helped the Rag establish itself- the Ragtime Revival of the 1970s and the growth of the jazz festival scene- the Rag was virtually the only publication devoted to ragtime and when the Ragtime Craze hit following the surprise popularity of Scott Joplin’s music after his Entertainer Rag was used in The Sting. Scholarly articles and reviews on ragtime became a staple in the Rag and ragtime originators like Eubie Blake and popular performers like Max Morath wee prominently featured. The upsurge in traditional jazz festivals also provided a strong boost to the Rag- the demographics were perfect for that end of the business- there were a number of retirement-age people with a strong interest in jazz and the disposable income to travel to one of more festivals every year. 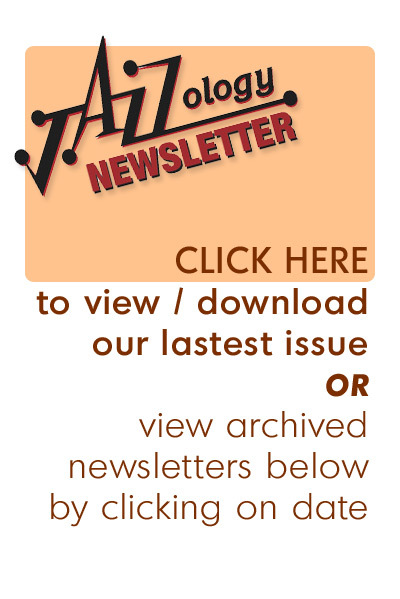 The Rag started covering most of the major traditional jazz festivals each year and as a result they started advertising in the Rag, which resulted in a larger and more financially-stable publication. During its entire existence the staff never consisted of more than Leslie and one or more of her family. Her first husband, Dennis Johnson, worked on layout from the beginning and continued on staff long after their marriage ended. Leslie’s sisters Jody and Debbie took care of the off ice work at different times, but generally there was no one running the magazine except Leslie- she answered the phone, sold ads, dealt with the writers and reviewers, and handled the dealings with the printers and the Post Office. Leslie had a personal relationship with a number of her subscribers- many of them were with the magazine from its earliest days and one thing that was difficult for her was seeing her constituency age- people who were active during the early days of the magazine gradually became less active, attending fewer events and finally winding up in assisted living or deceased. The Rag always had a policy of paying its writers, unlike many other small jazz magazines- the checks were never very much, but it gave one the feeling that your work was being rewarded. As time went on the magazine attracted more writers- during the early days I was one of the few people on the staff and wrote an article almost every month. Gradually writers with an interest in traditional jazz came on board from other places- Joe Klee and J Lee Anderson had written in the past for DownBeat, while others had written for Coda, Jazz Journal and others. The Rag’s circulation topped out at _____ in _____, and the size of the magazine was by that time pages. The Rag introduced columns about fifteen years ago, and each issue included several columns covering different sections of the US and Canada. The columns added a bit of local dimension but made the magazine somewhat more formulaic than it had been in its earliest days. The magazine contained book, record and CD reviews from the beginning and, as it became more respected the items to review poured into the offices, and Leslie was better able to pick and choose what to review; in its earliest days the Rag didn’t receive review copies of everything and occasionally a reviewer would review an item because he liked it and thought it should have been reviewed even though the distributor didn’t see fit to send a review copy. Leslie operated under the theory that our music was too specialized to allow much room for negative reviews- if she thought an items just wasn’t worthy, she’d send it back with a note to the effect that it didn’t reflect well on the performers and it wouldn’t be reviewed, so the reviewers checked their weapons at the door when they reviewed for the Rag. There were occasional controversies, however. Reviewer Bill Schafer faulted the intonation of iconic West Coast clarinetist Bob Helm, igniting a firestorm of protest from Helm’s fans, some of whom even bought a full-page ad in the Rag to express their admiration for Helm. San Francisco-based Trombonist Bob Mielke (writing under the pseudonym Duane Machiner) even weighed in in Schafer’s defense, faulting West Coast bands for their plodding rhythm sections and lack of imagination. The tempest finally settled down and the review pages returned to normal. As the editor of a professional jazz magazine Johnson was protective of her material- about twenty years ago someone put out a jazz guide containing reviews that had been published in the Rag without clearing it with her or the reviewers- she put a stop to that and subsequent editions of the book contained reviews from sources other than the Rag. Likewise, we were not allowed to reprint Rag reviews in JazzBeat like we do with many other publications. California-based magazine edited by Paul Affeldt. The 1990s were fine for the Rag and for Johnson, who married Wlll Shapira, who latterly functioned as the Rag’s Midwest columnist. 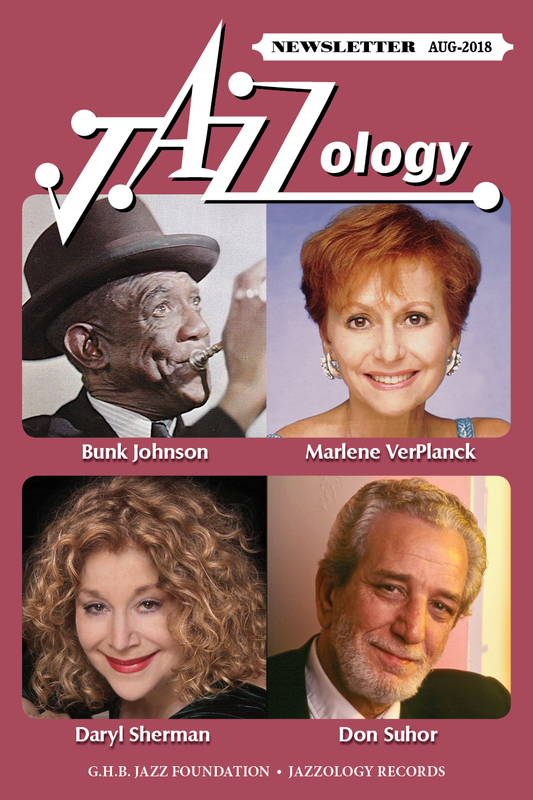 The magazine was a well-respected journal and the 25th Anniversary Issue (November 1998) ran to 48 pages and included congratulatory advertising from jazz clubs, record companies and just plain fans of the magazine. One unique feature of the Rag is that despite Leslie Johnson’s journalistic skills, she seldom wrote anything for the magazine other than the occasional editorial- she worked tirelessly behind the scenes getting people to write for the magazine and coordinating the publication, dealing with sources for photographs when they were unavailable from the writers, checking facts, and making certain the Rag was represented at most major traditional jazz events. I for one wish she’d written more for the magazine herself as we’d have more to remember her by. In addition to coordinating the publication of the magazine, she kept in touch with hundreds of her subscribers- there are few magazines where you can pick up the phone and talk to the editor if you have a comment or complaint, but she was always accessible and there were few times when I couldn’t get right through to her if I had a question and most of the readers had the same experience and many of them became her good friends, which made it hard as the readers aged and, in many cases, passed away. As an editor, she wasn’t heavy-handed. She’d make the occasional change in an article and I’d usually find that she had improved the article without changing much of what I’d written. I used to save copies of what I sent in (in the days before computers, mostly as a protection against loss in the mail) but also felt that sometime I’d compare what i wrote with what she published but after a few years I found I didn’t care any more- I was just glad we had a good product. The magazine kept moving as technology changed- in the early days the Rag was put out in her home- she’d work in an office in her basement, pasting up the pages to be photographed using an offset process. Gradually she outgrew the basement office, moving first to a location in nearby Richfield, later to larger quarters in Bloomington, near where she grew up. The additional space was needed to accommodate the computers needed for the Rag as production shifted to a desktop-publishing mode and all of us shifted our production to e-mailing the articles as attachments, which certainly increased the speed of production as an article could be written one day and in the magazine a day or two later. The final frontier was the changeover of the Rag to an online publication, which was done as her health began to deteriorate- one of the constant issues in running a publication is the Post Office, and the online Rag finally freed her of the monthly struggle with mailing regulations. The online Rag was a success- for the first year it was offered by subscription- readers would send in their money and they’d be furnished with a code they could use to look at and/or download the magazine. Johnson struck an agreement with George Buck under which customers who weren’t interested in an online publication could receive JazzBeat as a replacement. By 2005 there were just a few diehards left who didn’t have computers and we were glad to welcome them to JazzBeat. For its final year the Rag was a free online publication. The costs of putting it out were relatively small and it was supported by online advertising from jazz festivals, cruise organizers and record companies. Despite the fact that the magazine was basically free, it still ran to almost fifty pages and she continued to pay her writers the same as before, a very pleasant surprise. Leslie became ill in he fall of 2005- she noticed a blockage in her nose and when she went to the doctor he determined she had a very rare type of cancer. As Leslie indicated at the time, no one had ever lived more than five years with it. She went through three and a half years of treatments- chemotherapy, radiation, surgery and virtually every experimental drug currently being tested. She kept the magazine going throughout her treatments, and never missed a deadline. The last four issues were especially difficult- as the cancer spread her vision was impaired and she was literally flying blind. She made her goal of putting out the magazine for thirty-five years and once she notified her writers and readers that publication of the magazine had ceased she entered a hospice and passed away quietly a week later, surrounded by friends and family. The Mississippi Rag was the most successful magazine devoted to traditional jazz and ragtime and it featured not only historical articles but provided an important benefit in spotlighting the up-and-coming artists who will hopefully carry out music well into the twenty-first century. It will be a lot more difficult for all of us without the Rag- it was an important source of information on upcoming events, it was one of the few publication that reviewed traditional jazz records, and it created a wonderful sense of community among its readers. There will never be another magazine like the Rag .